Looking for the best way to see TC? Well, look no further because, as our guests say “there is no better way to see TC than in a rickshaw”! We offer multiple types of popular tours below as well as private tours customized just for your group. Up to 3 people per rickshaw. 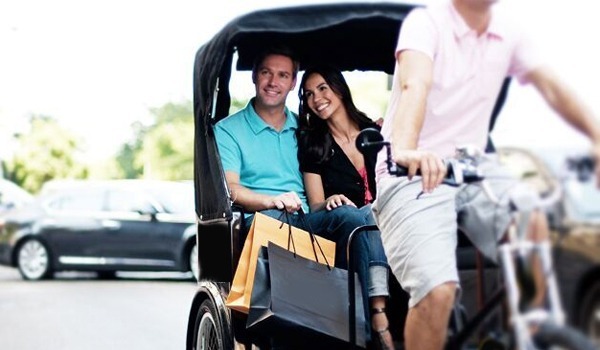 As you ride, your driver will share info about the areas attractions, food & beverage scene (very HOT in TC) and anything else you want to know. This is the perfect way to get to know the town and then figure out what else you want to do. Join us as we tour around to Traverse City’s most sought after watering holes. Wine, craft beer, cocktails & whiskey, no matter what your preference you will surely find something that fits your mood in our list of places you can visit. Sit back, relax and enjoy the drinks, great atmospheres and unrivaled scenery. You name the place and time and then provide us with your itinerary for the day. Cab and driver will be available whenever you need it during the timeframe that you booked.